Spark - dubbed 'the watch that keeps you awake' - is a smartwatch that aims to put an end to wanton snoozing during the work day. The watch uses two custom motion sensors that track both your movement speed and the frequency of your movements, and then works out whether you're bright-eyed or dozing. If Spark notices you're squeezing 40 winks into your busy schedule, it'll vibrate vigorously, bringing you back to the land of the living. 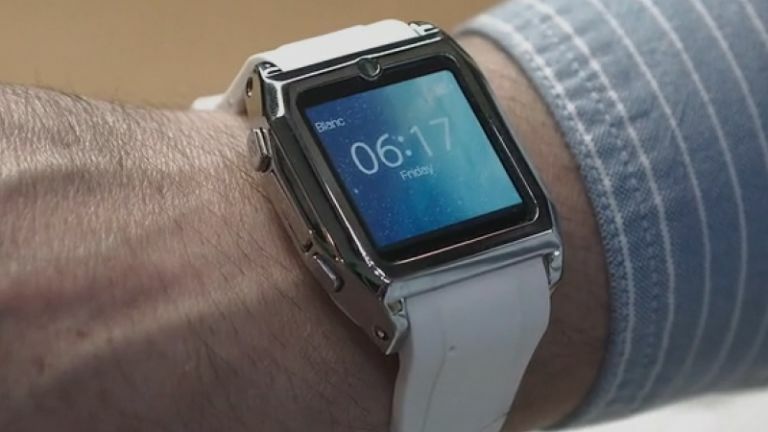 The watch comes equipped with a standard Li-Ion battery that will last anywhere from 5 to 7 days - probably dependant on how many times it has to buzz you back to consciousness. The inspiration for Spark is pretty unique, but then this is a pretty unique product. "In his last year of high school, our founder's older brother was taking a timed examination that would determine whether or not he would advance to his top choice colleges." "He was a top student in his class and very academically talented. However, a family incident occurred the night before and he didn't get any sleep," says Eddy Zhong, founder of Blanc Watches and creator of Spark. "During the test, he dozed off during one of the sections and was out for almost 15 minutes of the exam. Because of this, he didn't get a good score or advance to the college of his choice." "All of his work as a high school student simply vanished because of those 15 minutes. The idea for Spark was born." Sounds great, but what if you're actually trying to get to sleep? Fear not, there's a 'time mode', which shuts off Spark's motion sensors, letting you get some well-earned shut eye. We're not sure whether it's better to sneak off for a quiet nap or awake to twitchy spasming as a result of arm vibrations - regardless, anything's better than Pavlok, the shocking smartwatch we recently saw that delivers volts direct to your wrist if you're not hitting work targets. The Kickstarter for Spark started with a goal of $6000 funding, but has nearly doubled that with backing so far totaling just north of $11,000. Blanc Watches have now set a stretch goal of $14,000 which they say will mean the team can produce a watch that's 25% thinner thanks to improved battery tech.